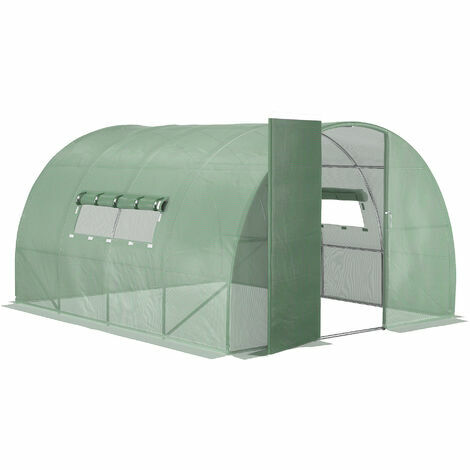 This greenhouse from Outsunny comes with an integrated tunnel and is composed of durable PE cloth over a steel pipe frame. Due to solar energy, it can maintain consistent temperatures that is ideal to plant growth. The durable PE cover protects the plants from rain, snow and stormy weather, as well as pests. The two rows windows on either side are suitable for ventilation, also they work for water gathering on rainy days. In this greenhouse, all your vegetables, flowers, fruits will flourish.